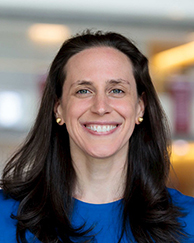 Abigail Sussman, Associate Professor of Marketing at The University of Chicago Booth School of Business, is interested in how consumers form judgments and make decisions, from underlying mechanisms to applications. She investigates questions at the intersection of consumer behavior, psychology, and economics, with the aim of improving human welfare. Her central research examines psychological biases that can lead consumers to commit errors in budgeting, spending, and borrowing. She also explores how the same biases extend beyond financial domains to choices in other areas. Sussman’s prior experience includes work at Goldman Sachs in its equity research division. She earned a bachelor’s degree from Brown University in cognitive science and economics, and a joint PhD from the psychology department and the Woodrow Wilson School of Public and International Affairs at Princeton University. Sussman, Abigail B. and Rourke L. O'Brien (in press). Knowing when to spend: Unintended financial consequences of earmarking to encourage savings. Journal of Marketing Research. Sussman, Abigail B., Kristina Petkova, and Alexander Todorov, 2013. Competence ratings in the US predict presidential election outcomes in Bulgaria. Journal of Experimental Social Psychology, 49 (4), 771-775. Sussman, Abigail B., and Adam L. Alter, 2012. The exception is the rule: Underestimating and overspending on exceptional expenses. Journal of Consumer Research, 39 (December), 800-814. Sussman, Abigail B., and Eldar Shafir, 2012. On assets and debt in the psychology of perceived wealth. Psychological Science, 23 (1), 101-108. Sussman, Abigail B., and Christopher Y. Olivola, 2011. Axe the tax: Taxes are disliked more than equivalent costs. Journal of Marketing Research, 48 (November), 91-101. Sussman, Abigail B., Daniel M. Oppenheimer, and Matthew M. LaMonaca. Reconciling linear and heuristic models of cue weighting: A causal model approach. Zhang, Shirley, Abigail B. Sussman, and Chris Hsee. Responses to interest rate increases: An urgency paradox in repayment behavior. Sussman, Abigail B. Valence in context: Asymmetric responses to positive and negative attributes. Egan, Daniel, Sam Swift, and Abigail B. Sussman. Tax aversion in the wild: Increasing tax salience reduces allocation changes.